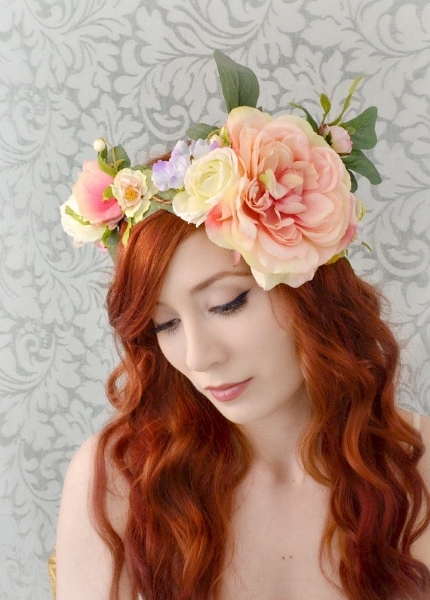 Flower crowns are really beautiful and they have been amazingly popular for the past couple of years. Delicate and full of life, romanticism and uniqueness, flower crowns can make you feel truly special on your wedding day. How to incorporate them in your wedding look, though? What are some of the best ideas to inspire you? We have gathered some tips right below – so read on and find out more. · Berries. If you can incorporate berries and figs in your wedding bouquet and centerpieces, why wouldn’t you do the same with your flower crown as well? Bring in some berries and other non-floral elements to make your gorgeous flower crown even more unique! · Thin. Your flower crown doesn’t have to be very opulent and large, especially if you feel that you would look better with something more delicate. For instance, you could create a beautiful flower crown with eucalyptus leaves, cotton blooms and garden roses – and it will look truly elegant and timeless! · Luxurious. 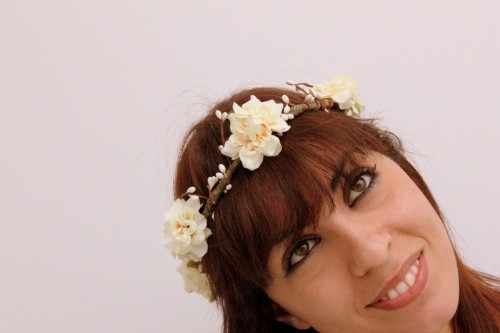 Want your flower crown to be a celebration in its own right? Ask your florist to create a flower crown with large blooms and incorporate cotton flowers, peonies and large roses in it. This is the kind of arrangement that looks really romantic and that will add a lot even to the simplest wedding dress. · Orchids. Really unique and always elegant, orchids can be incorporated into a flower crown as well. For instance, you could wear a vintage-looking flower crown made entirely out of white orchids. Searching for the perfect wedding planner in Florida Keys? Contact Blue Water Weddings and allow our experience, talent and devotion to help you create an unforgettable Big Day! Contact us and leave your wedding planning into our capable hands!